We’re thrilled you found us and can’t wait to guide you through what just might be your new favorite place. Click through our virtual map tours to see campus from your couch, and be sure to schedule a tour and come see us soon! You’ve decided to continue your education and we couldn’t be more proud of you! We’re excited to be on this adventure with you. Whether you’re new to A&M-Commerce or already call us home, take a few minutes to explore our state-of-the-art university virtually. We hope to see you on an in-person tour soon! Welcome to our little slice of Texas. We’re so excited you’re interested in studying abroad at A&M-Commerce and we’re thrilled for the opportunity to teach you about our country, culture and campus. Hop on over to our virtual map and browse our selection of guided tours. There’s so much to see! Welcome to my view of the Lion Life! As the symbol of spirit here at A&M-Commerce, I love to get out and about, immersing myself in the campus culture. As you make your way to class, work, events, lunch or back to your room for a cat nap, you’re likely to pass me on the sidewalk. Don’t be shy; I’m always up for a high five! I’m excited to take you on this tour myself because I am proud of how great my home at A&M-Commerce truly is. As I walk you through my favorite spots, I hope the images become less like photos and more like reality. After all, this just might become your home, too! There’s only one thing…I just can’t seem to sit still long enough to pose for a picture. You know lions, always on the prowl! Let’s see if you can spot me on campus. The best way to learn about A&M-Commerce is to visit campus! Offered Monday through Friday at 10 a.m. and 2 p.m. 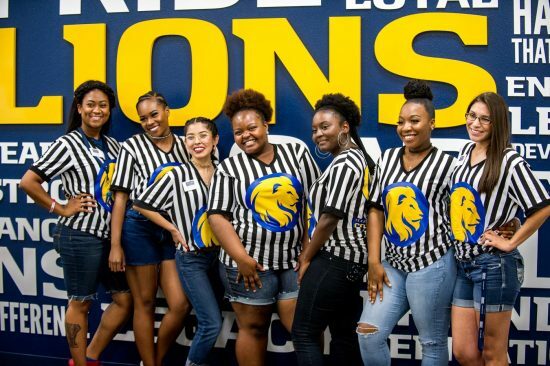 Led by Lion Student Ambassadors – current students who share their individual experiences about A&M-Commerce and provide information that will help you make your college decision. Advanced registration is required. After you schedule your visit, you will receive a confirmation email with additional details including directions to campus and parking information. If we can assist you in any way, please email us at CampusVisits@tamuc.edu or call us at 903.886.5088. If you are a school counselor or organization sponsor, we invite you to bring groups of students to visit A&M-Commerce! Group visits can be scheduled for weekdays, Monday through Friday, depending on availability. We can accommodate groups of up to 75 prospective students. If your group is larger than 75, please contact us to see if special arrangements can be made. Please note that some activities and resources may be limited due to a group’s size. 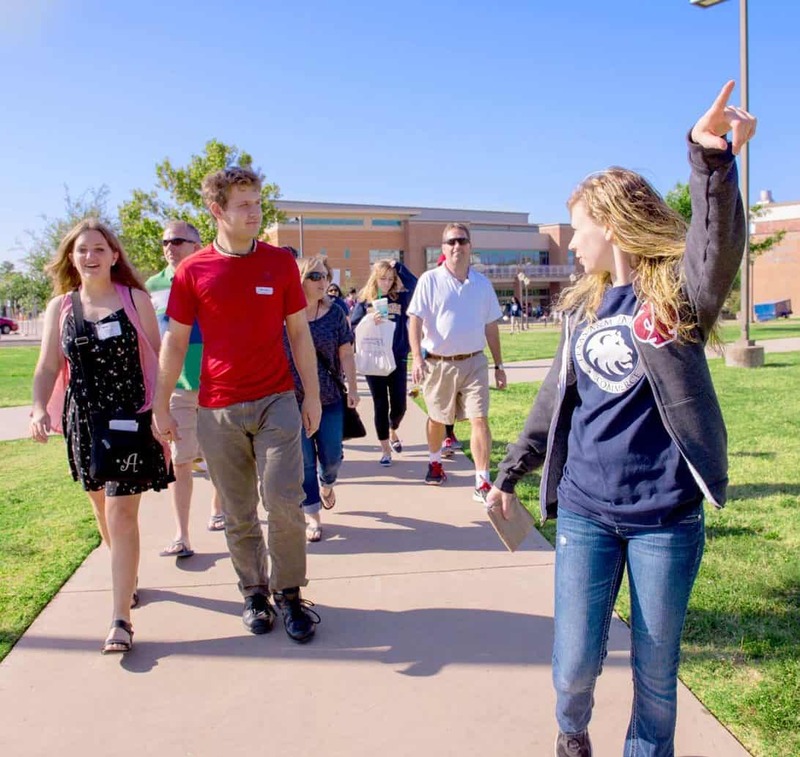 Group visits typically consist of a walking tour of campus and an admissions presentation, but we can customize the experience to meet your group’s needs. Lunch on campus is also an opportunity, at a small cost per guest. To ensure the best possible experience for your group, please email us to discuss available dates and your preferred schedule. 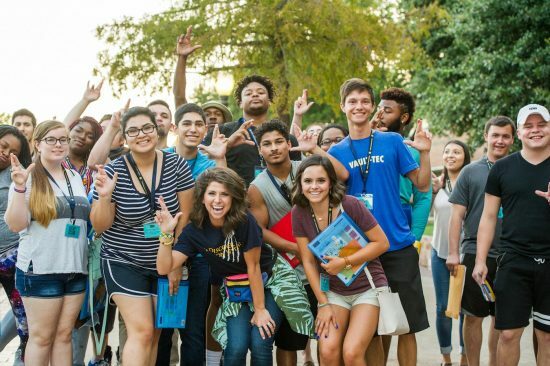 If you are interested in scheduling a group visit, please email us at CampusVisits@tamuc.edu. 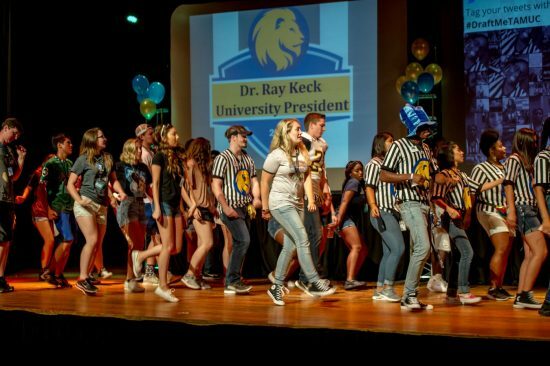 New Student Orientation is a fun and important opportunity for you to learn all about life and learning at A&M-Commerce. All new undergraduate students are required to participate in New Student Orientation. 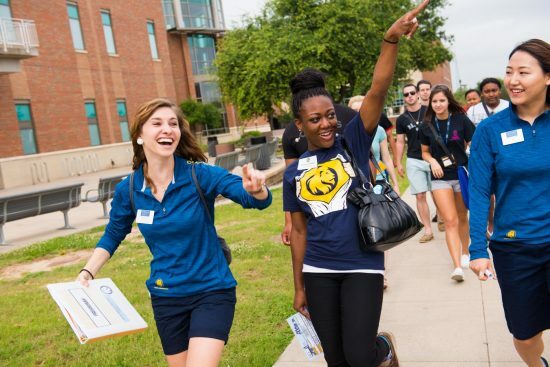 New Student Orientation is an important, exciting (and mandatory) step in becoming a part of the A&M-Commerce family. All new undergraduate students are required to participate in New Student Orientation. Am I required to attend New Student Orientation? New Student Orientation is mandatory for all new undergraduate students before attending your first semester at A&M-Commerce. If you have completed less than 12 transferable college credit hours after your high school graduation date, you are required to attend the full two-day event. As an incoming freshman or transfer student, how much does it cost for orientation? There is a $125 student orientation fee for freshmen. The orientation fee covers facilities, meals, staff, and other administrative costs. Once you have been admitted to the University, you will be able to reserve your spot for a New Student Orientation session by logging into yourmyLEO student account and selecting the “Orientation” tab. 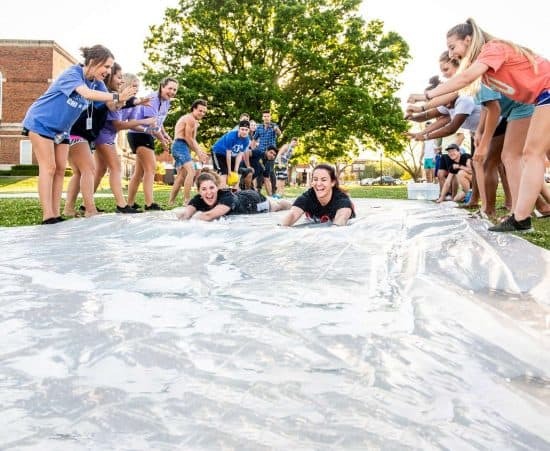 What overnight accommodations are offered during New Student Orientation? Freshmen students are required to participate in the overnight stay during New Student Orientation. Housing accommodations are provided to all students and are covered by your Orientation Fee. Students will be assigned a room in Phase II Residence Hall with other incoming new students. Please note, this is not your permanent room assignment for the Fall semester. When and how do I pay for new student orientation? This fee will not be paid when the reservation is made. When making a reservation for New Student Orientation, the reservation system will include a payment screen. Please disregard this payment screen as we are unable to accept payments through this system. This fee will be added to the student’s account after attending New Student Orientation. Financial aid, scholarships or other financial assistance may be used to cover the orientation fee; otherwise, the fee will be part of any out-of-pocket expenses. Spring and Summer 2019 Schedule: To be announced. Students who have taken 12 or more transferable hours after their high school graduation are required to attend one of our Transfer Orientation sessions. Below are some of the common questions new students ask. 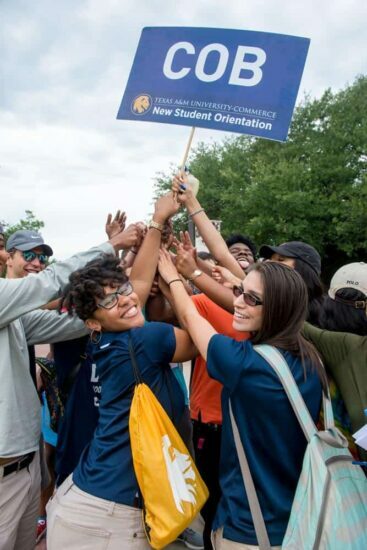 If your question is not featured on this page, please contact our office at orientation@tamuc.eduor 903.886.5088. Am I required to attend transfer student orientation? If you have completed 12 or more transferable hours after your high school graduation date, you are required to attend the second day of a New Student Orientation session. As a transfer student, you have the option of attending the first day of orientation as well. How do I sign up for transfer student orientation? Once you have been admitted to the University, you will be able to reserve your spot for a New Student Orientation session by logging into your myLEO student account and selecting the “Orientation” tab. If you wish to attend both the first and second days of orientation, please click the “overnight accommodations” option when completing the New Student Orientation reservation. How much does it cost for transfer students? There is a $100 student orientation fee for transfer students. The orientation fee covers facilities, meals, staff, and other administrative costs. When and how do I pay for the transfer student orientation? This fee will not be paid when the reservation is made. When making a reservation for New Student Orientation, the reservation system will include a payment screen. Please disregard this payment screen as we are unable to accept payments through this system. The fee will be added to the student’s account after attending New Student Orientation. Your academic success involves a network of support, so plan to bring your family and friends to the Parent & Guest Orientation. This orientation will introduce everyone to A&M-Commerce and the resources offered to aid in your success. Are overnight accommodations provided for parents & guests attending New Student Orientation? There are no overnight accommodations provided for parents & guests; these arrangements will need to be made on their own. Are overnight accommodations provided for parents and guests? No. Parents and guests need to make their own overnight arrangements. Are parents or guests required to attend New Student Orientation? No, the parent and guest orientation is an optional program that parents and guests may attend if desired. As a parent or guest, how much does it cost for orientation? There is a $35 parent and guest orientation fee per guest for facilities, meals, staff, and other administrative costs. This fee must be paid in advance via our Orientation Marketplace Store. How do parents & guests sign up to attend New Student Orientation? If your parents or guests wish to attend, please include their information when you are reserving your spot for New Student Orientation. To change a reservation, please contact our office at orientation@tamuc.edu or 903.886.5088. Scholars Preview Day is designed specifically for high-achieving prospective students who rank at the top of their class or have achieved high SAT/ACT scores. Learn about the Honors College and Regents' Scholars Program and the application process to participate. Meet faculty and staff who are committed to student success. 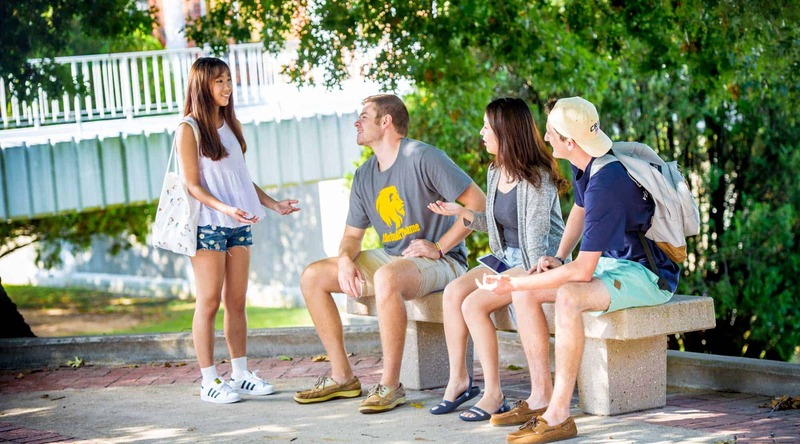 Visit with current students who will share their experiences about life at A&M-Commerce. Learn about the undergraduate admission process. The next scholars Preview Day will be in Fall 2019. Check back in August for the event date! Questions? Call us at 903-886-5088 or email CampusVisits@tamuc.edu. Join us for an upcoming Mane Event Preview Day! Students, families and guests are welcome to attend! A&M-Commerce will showcase various areas of the university ranging from academics to campus activities. You will have an opportunity to speak with representatives from Undergraduate Admissions, Residential Living and Learning, Financial Aid and Scholarships, Veterans and Military Services, Hispanic Outreach and Retention, and a multitude of student organizations. Our faculty have also prepared interactive sessions that will provide a glimpse into the 140+ degree programs and majors we have to offer. We hope you join us! For more information, please contact the Office of First-Year and Transition Programs at CampusVisits@tamuc.edu or 903.886.5088. Am I required to attend the Mane Event? Mane Event Preview Day is an optional campus preview event for prospective students. 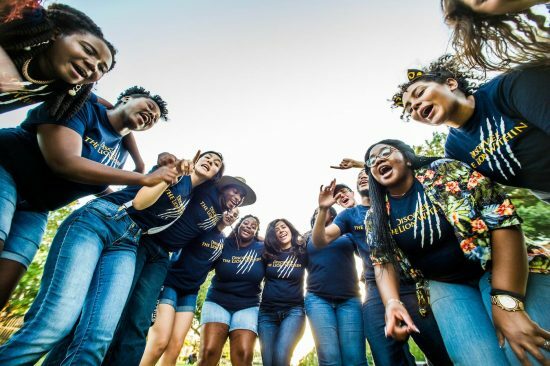 This differs from New Student Orientation which is a required program for students who have been admitted to A&M-Commerce and plan to enroll in classes at the institution. Are meals provided at the Mane Event? Yes! We will provide attendees with breakfast (donuts, juice, and coffee) and lunch (pizza, water, and sodas). How do I sign up for Mane Event? Please pre-register using the Register Now button at the top of this page. How much does it cost to attend Mane Event? I am interested in bringing a group of students to the Mane Event Preview Day. How do I register my group to attend? If you work with a group of high school juniors or seniors, or transfer students, we would love for you all to attend the Mane Event Preview Day. In order for our staff to prepare for your arrival and better serve you at the event, please contact our office to register your group using the information below. For further information, please contact the Office of First-Year & Transition Programs at CampusVisits@tamuc.edu or call 903.886.5088. We look forward to meeting you! Register today! If I require additional assistance during Mane Event Preview Day, how do I make these arrangements? To request ADA accommodations, please communicate your needs seven days before Mane Event Preview Day by calling Christopher Hensley at 903.886.5086. What is Mane Event Preview Day? 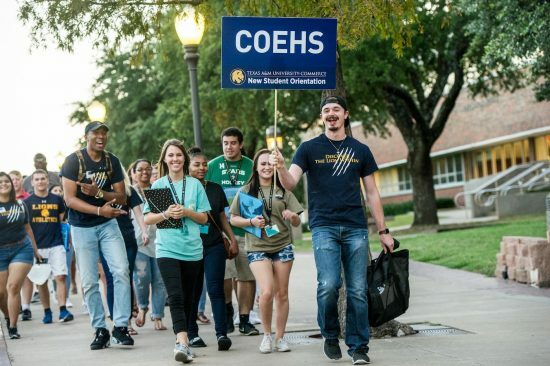 Mane Event Preview Day is an opportunity for prospective students to discover all that A&M-Commerce offers, from academics to student services and campus activities. This event is geared toward juniors and seniors in high school as well as transfer students. Students, families, and guests are welcome to attend! Meet your future classmates and professors. Take a guided tour of campus, including residence halls and the recreation center. 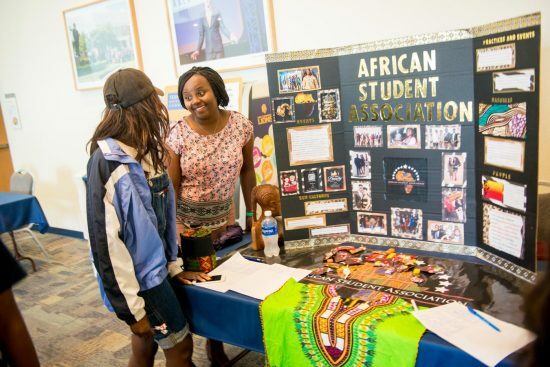 Discover student organizations that you can join. Learn about student support services that will help you succeed. Participate in interactive sessions that help you become familiar with the 140+ degree programs and majors at A&M-Commerce. What overnight accommodations are offered during Mane Event Preview Day? We are not able to provide overnight accommodations for any students, families or guests. If you need overnight accommodations, please contact one of the area hotels located near the University. When is Mane Event Preview Day? Pack your bags for Lion Camp! 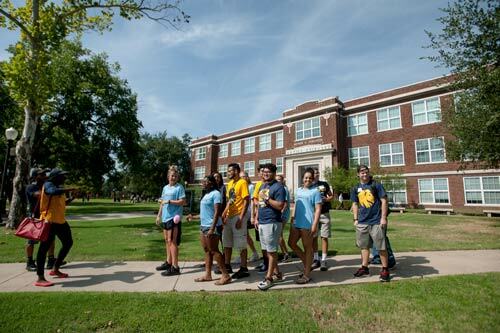 Lion Camp is a three-day orientation program for new students at A&M-Commerce. Plan to attend this fun and informative event the week before the first week of school. Your orientation leader at New Student Orientation will help you sign up! Need something special to make your visit great? We are committed to providing access and accommodations to our services, programs, activities, education and employment for individuals with disabilities. To request ADA accommodations, please communicate your needs two days prior by emailing us at CampusVisits@tamuc.edu or calling us at 903.886.5088. TEXAS SENATE BILL 11 PERMITS CONCEALED CARRY OF FIREARMS IN TEXAS A&M UNIVERSITY-COMMERCE BUILDINGS ONLY TO PERSONS WHO HAVE BEEN ISSUED AND ARE IN POSSESSION OF A TEXAS LICENSE TO CARRY PERMIT. PURSUANT TO PC 46.035 AND A&M-COMMERCE RULE 34.06.02.R1, PERMIT HOLDERS MAY NOT CARRY IN RESTRICTED LOCATIONS. PLEASE OBSERVE TEMPORARY BUILDING AND VENUE SIGNAGE;TO COMPLY WITH STATE LAW AND REPORT VIOLATIONS TO THE UNIVERSITY POLICE DEPARTMENT AT 903-886-5868 OR 9-1-1. VIEW THE CAMPUS PROCEDURE.